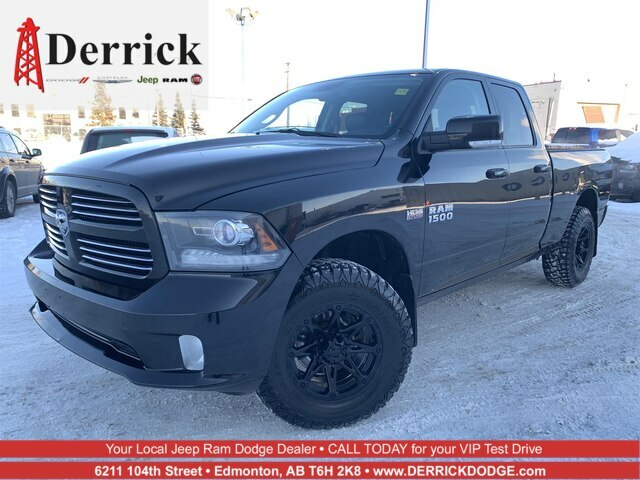 Here are a few of the functional/safety features this '14 Sport has: electronic shift on demand transfer case, ant-lock 4-wheel dsic brakes, electronic stability control. trailer tow with 4-pin connector wire and a 730 amp maintenance free battery. 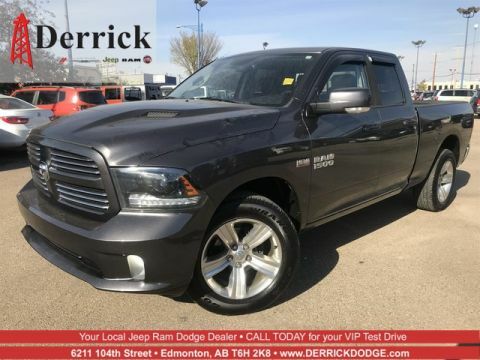 Now a few of the interior features: A leather-wrapped steering wheel with mounted audio and cruise controls, a media hub (SD, USB, Aux), an 8.4 inch touchscreen, SiriusXM Satellite Radio ready, 6 Speakers, and rear 60/40 folding rear seat with under seat compartment storage! 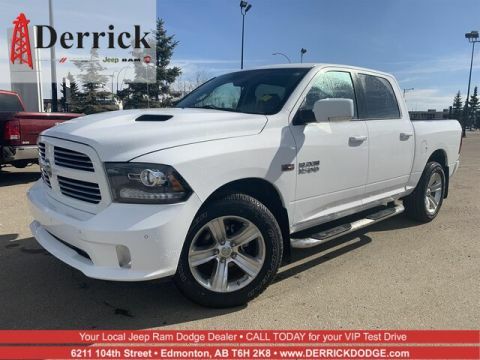 Come visit one of our Sales Representatives and get educated on everything else this Ram 1500 has to offer! 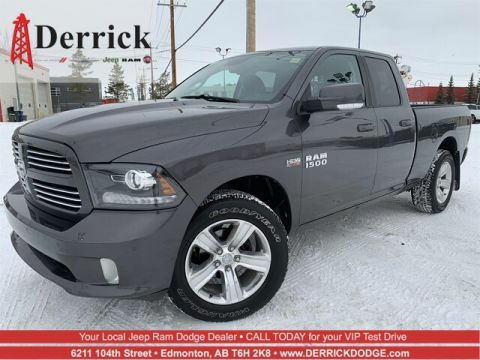 Clean CarFax and has been registered in Alberta and British Columbia.